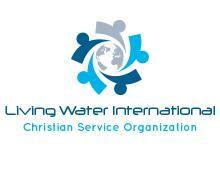 Living Water International, Inc. sponsors the first group of ladies who are working together to build a cooperative business. They decided to raise and sell chickens. This will give these women an opportunity to have an income. Pray that God will bless and increase them. Please help us! For a $20 a month, you can sponsor a group and help these women become self-sufficient.